11:37:14: Configuration unchanged, skipping qmake step. 11:37:15: The process "C:\Qt\Qt5.8.0\Tools\QtCreator\bin\jom.exe" exited with code 2. 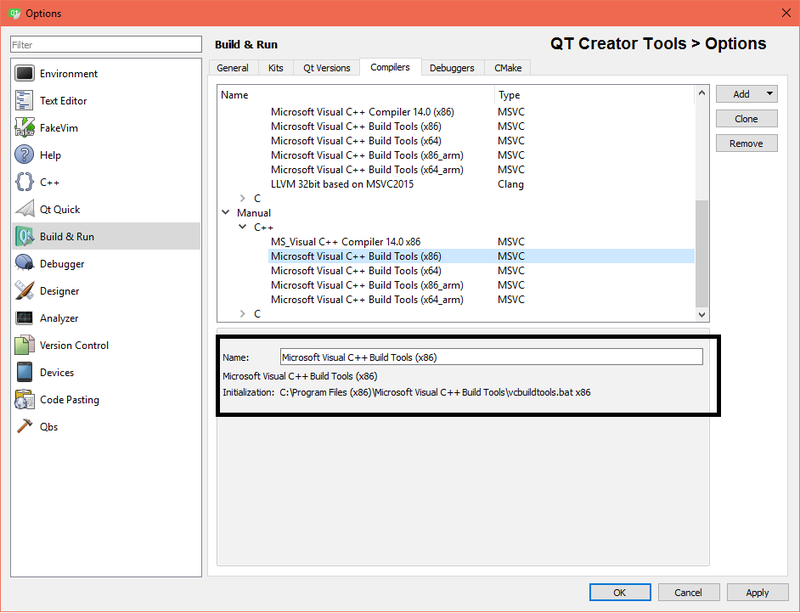 The kit X Qt 5.8.0 MSVC2015 32bit has configuration issues which might be the root cause for this problem. "C:\Program Files (x86)\Microsoft Visual C++ Build Tools\"
Then open QT and try to compile the project again.